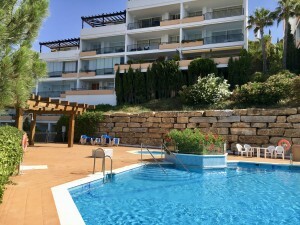 Brand new apartments in a lovely residential located in Guardamar del Segura. It be a gated residential with beautiful green areas, swimming pools and underground parking. Easy access to Alicante. In the residential there are several types of apartments with either a spacious garden area, a relaxing terrace or a roof top solarium. Air conditioning pre-installation by conducts and underfloor heating in bathrooms. The complex comprises of 3 blocks of apartments, 5 floors in each block. The apartments boasts 2 bedrooms and 2 bathrooms, spacious living and kitchen area and terrace. An area that is close to all amenities, with sea views and only 2 minutes walking distance to the beach. 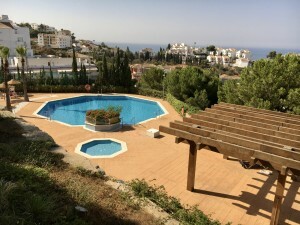 A large communal swimming pool, beautifully landscaped gardens and a sports area within the gated residential complex. Guardamar is a traditional Spanish town located in the Costa Blanca region. It is full of history and is also known as the Guardamar del Segura. Surrounded by La Mata Lagoon Natural Park and elevated on a hill over the Vega Baja, it has excellent views of the Mediterranean. The coastline itself is lined with pine trees and has natural sand dunes making it perfect for exploring.